Multi-drug Resistant Organisms (MDRO’s) such as MRSA (methicillin-resistant Staphylococcus aureus) can live on environmental surfaces for days, weeks or months. That fact alone should have your undivided attention and focus. In the U.S. and around the world, MRSA cases are on the rise. If you don’t have a strategy for cleaning and disinfecting environmental surfaces so that the proliferation of life-threatening bacteria and viruses is mitigated, you need to develop one. For starters, you need to understand the difference between cleaners, sanitizers and disinfectants. • Cleaners or detergents are products that are used to remove soil, dirt, dust, organic matter and germs (bacteria, viruses and fungi). Cleaners or detergents work by washing the surface to lift dirt and germs off surfaces so they can be rinsed away with water. The same thing happens when you wash your hands wit soap and water or when you wash dishes. Rinsing is an important part of the cleaning process. Use these products for routine cleaning. • Sanitizers are used to reduce germs from surfaces but not totally get rid of them (kind of like “birth control” for germs). 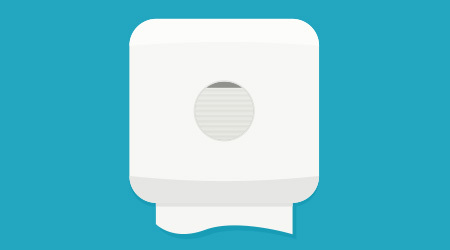 Sanitizers reduce the germs from surfaces to levels that many consider safe. • Disinfectants are chemical products that destroy or inactivate germs and prevent them from growing. Disinfectants have no effect on dirt, soil or dust. Disinfectants are regulated by the U.S. Environmental Protection Agency (EPA). You can use a disinfectant after cleaning for surfaces that have visible blood or drainage from infected skin. Which disinfectants should be used to control the spread of MRSA? Disinfectants effective against Staphylococcus aureus (or “Staph”) are most likely also effective against MRSA. Check the product’s label on the back of the container. Most, if not all, manufacturers will provide a list of germs on their label that their product can destroy. Use disinfectants that are registered by the EPA (check for an EPA registration number on the product’s label to confirm that it is registered). • Precautions you should take when applying the product, such as wearing gloves or aprons or making sure you have good ventilation during application. What about laundering contaminated articles of clothing or bedding? Routine laundry procedures, detergents, and laundry additives will help to make clothes, towels, and bed linens safe to wear or touch. If items have been contaminated by infectious material, these may be laundered separately, but this is not absolutely necessary. Next time, I will talk about: Facility cleaning and disinfecting after a MRSA infection.